Spring is almost here – only a week until Brigid’s Day Eve which is a great opportunity to check in with the intentions made at the new year. It is also a good time to make some Spring intentions now that energy is rising as the Earth slowly wakes up and begins to stretch. I made several intentions, or promises to myself, and as I begin to feel re-energised as Spring approaches, I find myself examining the intentions and adding more energy to them. One philosophy I read somewhere about intentions or resolutions, is that you should let someone know what they are so that you cannot then lapse or give in and lose face. So here goes, here are my intentions. My second book about herbs – The Weed Handbook Vol 2 – has been started and is underway and I intend for it to be available to buy by Spring Equinox. You can pre-order a copy if you would like. I am also, almost ready to make available digital Herbal Workshops for those people who live a long way off and would like to attend my workshops but cannot. My HERb shed should be ready for use by mid summer; and, as the work there continues, I am continuing to beautify the garden with more herbs, flowers and trees. As Brigid’s Day approaches, I am planning a little ceremony or ritual, dedicating all the work and my intentions to her. After all, she is a goddess of creativity! 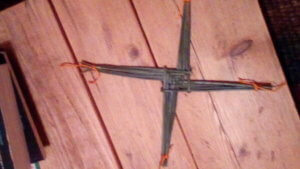 I always celebrate Brigid’s Day, following tradition, (the little we know) as well as creating some of my own rituals. I follow the traditions of making Brigid’s crosses for protection of the home, outbuildings and for the car; a little Brídeog – a small doll made from rushes to represent Brigid – and I make a libation or offering of milk and honey, and oat cakes, foods that would be associated with Brigid. I also leave outside a scarf or piece of fabric so that when Brigid passes by, she can bless the fabric with her healing powers. 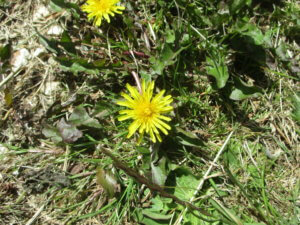 As the Earth is waking, green herbs are appearing that are tonic and cleansing. 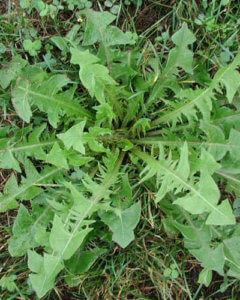 Nettles, Cleavers, Chickweed and of course Dandelion, among others. I make a small feast of these fresh cleansing herbs and I make a vegetable stew with barley – the traditional grain of old Ireland. 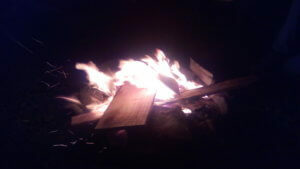 Following these traditions I have created something and crafted something and used fire to achieve my Imbolc feast. There is very little source material available regarding the Goddess Brigid yet there is sufficient information passed down as myth to know something about her. If things have been added over the centuries, I think that demonstrates both her popularity and that she is a “living” archetype. She is regarded as a Triple Goddess of Fire, looking after the hearth flame, the flame of the forge and the flame of poetic inspiration. She most DEFINITELY was NEVER a blacksmith!!! (One modern day writer has gone to great lengths to work out if Brigid ever worked as a blacksmith!) Her relationship to the forge was purely metaphorical. In ancient times, the people who were able to transform molten metals into things of beauty or of great use and value were thought to be working magic with fire and as a goddess of fire, Brigid is patroness of the forge. Her remit is quite large. She looks after hearth and home and consequently offers healing and protection; she provides the passion and inspiration needed for creative work and crafting and is also associated with midwifery and fertility. It is no surprise then that Brigid is associated with Imbolc which is placed on the Wheel of the Year between Winter Solstice and Spring Equinox and is one of the eight fire festivals. 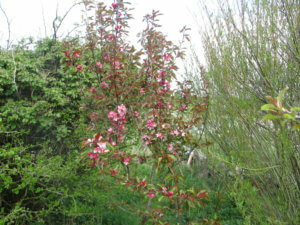 and of course, springtime is a time of spring cleaning, both internally and in the house. In ancient times it is quite possible that people did not have the opportunity to bathe during winter or open up their homes to fresh air. 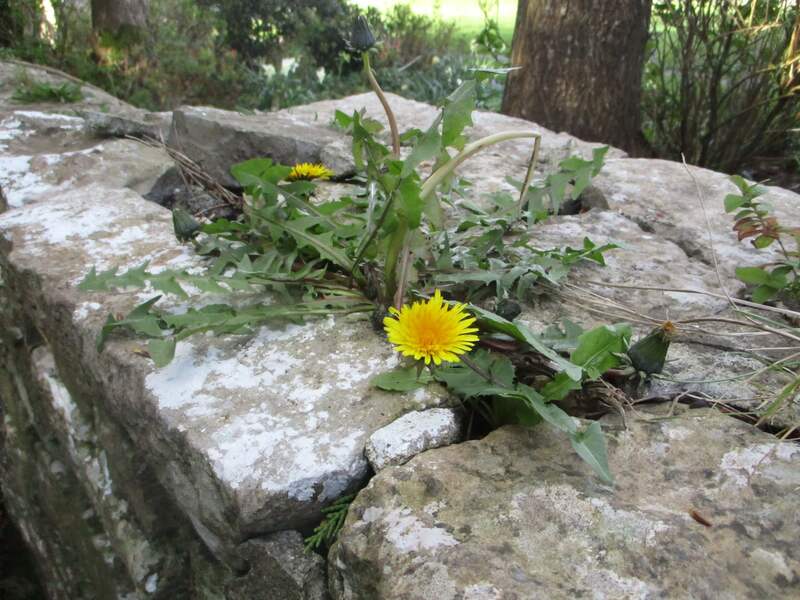 By this time, Imbolc, the beginning of Spring, they would be desperate for some fresh, cleansing greens for themselves and be glad of the opportunity to clean their bodies and their homes. The Goddess Brigid is said to have brought magical bees from the Other World to bring sweetness into our world. 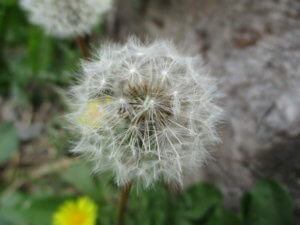 Perhaps that is why she has always been associated with Dandelion – one of the first spring flowers that provide the bees with nectar. The Sacred Oak is another plant associated with her so planting oak saplings would be an appropriate thing to do at Imbolc at the end of winter. Although Brigid is a goddess of fire, she is also linked to the holy wells of Ireland and there are several holy wells dedicated to Brigid. It always feels nice to visit one of the wells and ritually wash my hands in the water for purification and to remove any litter or rubbish lying around. 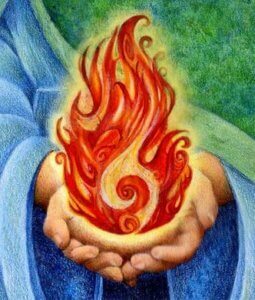 As fire is also associated with purification, I like to light a white candle, sit with it and mediate on the “rubbish” I could release and cleanse away. 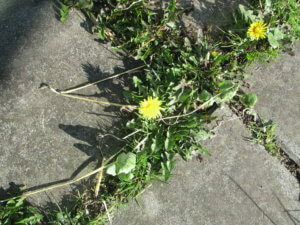 How do you celebrate Brigid’s Day or Imbolc? Leave a comment below to let me know. ← Taxation on Health – An Opportunity?